The Wooden Boat Museum of Newfoundland and Labrador Boats & Builders Project records the knowledge, skills and stories associated with wooden boats built and used across the Province. 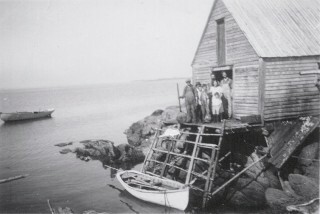 Oral histories collected from boat builders, fishers and their families weave a story of history and heritage as experienced by outport communities throughout Newfoundland and Labrador. Taking a closer look at skills and techniques tied to building and using wooden boats reveals the complexities of traditional knowledge and its connection to a heritage of innovation and adaptation. For hundreds of years, outport communities have demonstrated examples of applied sciences that remain relevant today. Seafarers commonly say “look aft” to mean look behind, to the rear and the wake of the vessel. As the Wooden Boat Museum, we’ve adopted the phrase as our motto to demonstrate our commitment to looking to our history and heritage as a means of learning for the future.